Look up the word “Tabata” Online and you might be turned off by these words: Intense, Uncomfortable and Monotonous. Doesn’t sound like much fun, does it? Most people would prefer not to do the same exercise eight times in a row. That’s where it gets fun. Get creative with Tabata by mixing and matching exercises in the same Tabata cycle. For example, alternate a jumping jack with a squat. Or, consider trying Tabata with an area you want to work out that day, for example, abdominals. Instead of 25 crunches, try planks, crunches, reverse crunches, and bicycle crunches, and repeat until you’ve completed eight rounds (or four minutes). Tabata originated in 1996 with the exercise research of Dr. Izumi Tabata. He used his timing training on cyclists. The results were so striking that the training was named after him. 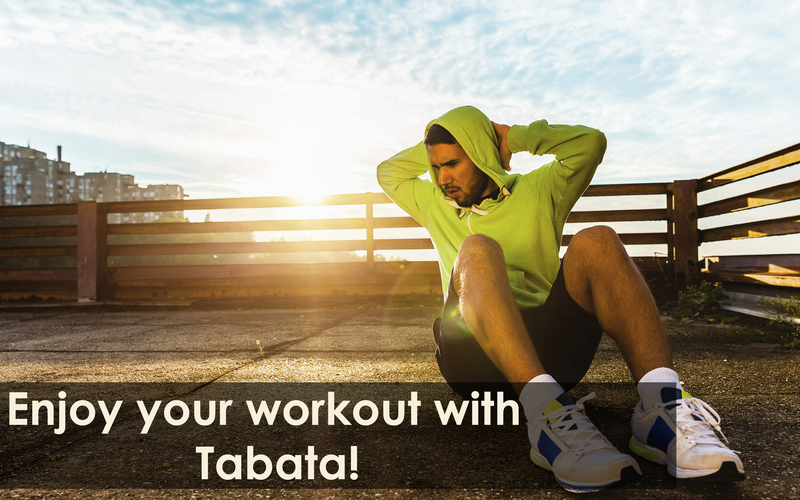 You can find free Tabata timers online at Tabatatimer.com. You can also find apps for your smart phone. Most timers and apps will allow you to set the length of your work and rest intervals any way you like. Repeat the series, and you’ve got one Tabata under your belt! Repeat the series and you’ve got one Tabata under your belt! Please share this with friends, family, co-workers, employees by using the printer-friendly PDF version. October 9, 2014 in Exercise, Health, Healthy Lifestyle, Personal, Wellness.